Back pain on one or both sides is commonly caused by pressure on the joints and nerves in the area of the sacroiliac joints. Pain is a warning sign. Like the piercing sound from a smoke alarm, the alarm isn’t the problem. The alarm has a cause, just like every ache or pain has a cause. Some people choose to cover up the pain instead of correcting the cause. What’s your approach? The nerve-rich acroiliac joints are the two points where the tail bone (sacrum) and the pelvis (ilium) join together of each spinal bone, and are a common cause of back pain. If these sacroiliac joints aren’t moving right, they can cause painful symptoms. Sacroiliac pain can lead to more serious problem involving the other joints and discs of the lower back. For a detailed explanation of this problem click here. Once you know the cause, you have several choices. One approach is bed rest. But research shows that prolonged bed rest can actually delay recovery and make the problem worse! More and more people are choosing chiropractic care first, Specific chiropractic adjustments can help improve the position and function of the sacroiliac joints. Chiropractic results vary depending upon many factors. How long have you had your problem? Do you keep your appointments? Are you getting the proper rest, exercise and nutrition? Are you in otherwise good health? Within a short period of time most patients sense enough progress to justify completing our recommendations. After patients get the relief they want, many choose to continue with some type of periodic care. These chiropractic “check-ups” can help support the final stages of healing and help detect and resolve new problems before they become serious. How long you want to receive chiropractic care is up to you. If you are suffering from back pain on one or both sides, the team at Mind & Body Chiropractic can help you. 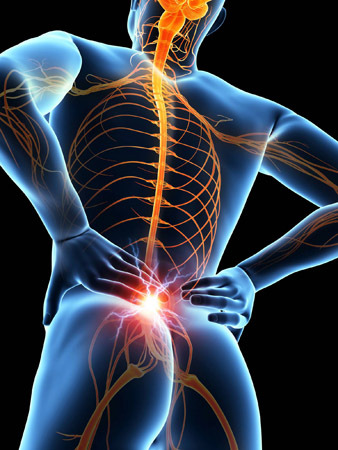 We specialise in sacroiliac pain treatment. Arrange for a consultation with one of our specialists today.